A translation of one of the most important texts of Western philosophy. 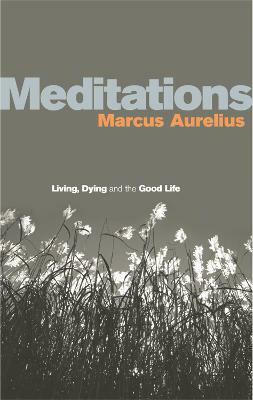 Few ancient works have been as influential as the MEDITATIONS of Marcus Aurelius. A series of spiritual exercises filled with wisdom, practical guidance, and profound understanding of human behaviour, it remains one of the greatest works of spiritual and ethical reflection ever written. Marcus's insights and advice - on everything from living in the world to coping with adversity and interacting with others - have made the MEDITATIONS required reading for statesmen and philosophers alike, while generations of ordinary readers have responded to the straightforward intimacy of his style. In Gregory Hays's new translation - the first in thirty-five years - Marcus's thoughts speak with a new immediacy. In fresh and unencumbered English, Hays vividly conveys the spareness and compression of the original Greek text. Never before have Marcus's insights been so directly and powerfully presented. Marcus Aurelius reigned from 161 AD to 180 AD- perhaps the only true philosopher- king in the history of the world. In his MEDITATIONS, a series of notes to himself, he formulated his pantheist Stoic beliefs with a passionate religious conviction. The MEDITATIONS were written day by day, in every situation including war. They often appear to be responses to the stress of supreme power, from the imminent fear of death in battle, to the trials of everyday life. Gregory Hays, the translator, is Assistant Professor of Classics at the University of Virginia.